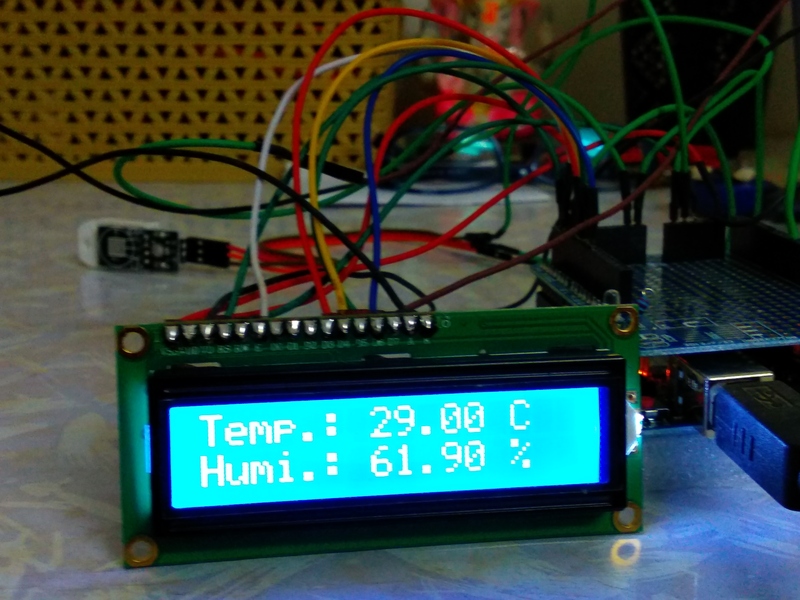 In this project we will learn to measure Humidity and temperature using DHT22 and Arduino. There are 2 version of the sensor DHT11 and DHT22. DHT22 sensor is more expensive and obviously has better performance and accuracy. Its temperature measure range is -40 to 80 degree Celsius with +-0.5 degree accuracy. Also the DHT22 sensor has better humidity measuring range, from 0 to 100% with 2-5% accuracy. Operating voltage is 3v-5v. 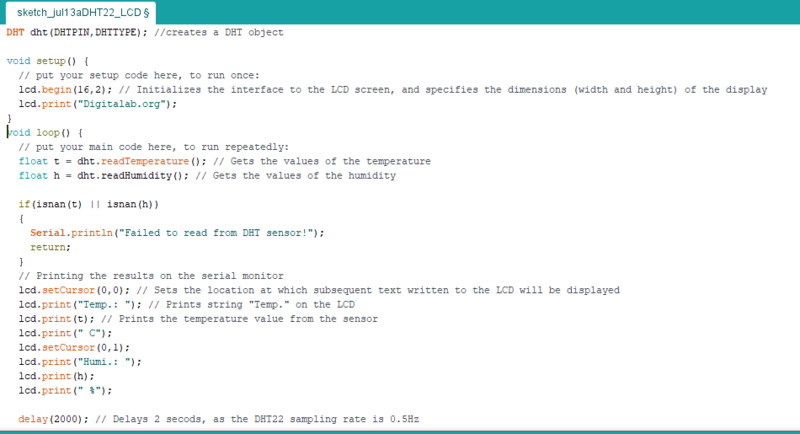 Download the DHT library for Arduino from location. 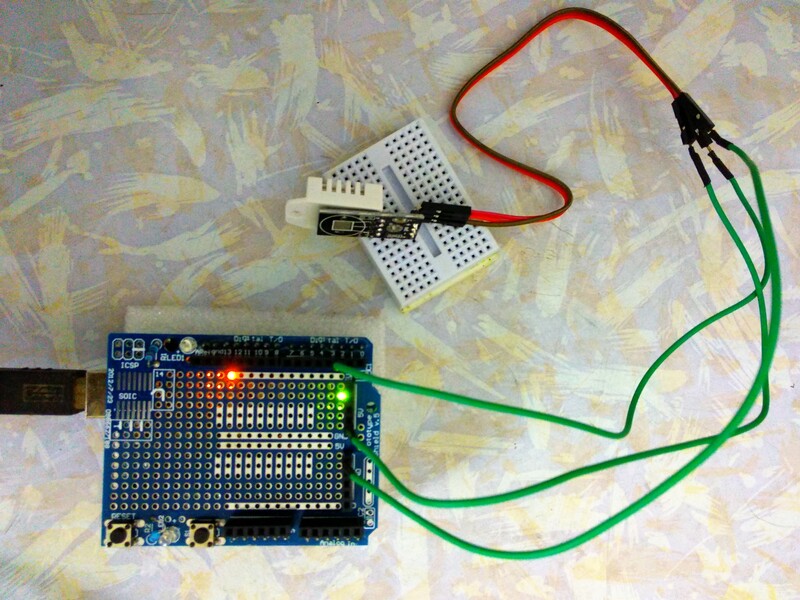 #define DHTPIN 2    //Defines the pin number to which the sensor is connected. Add LCD to the above code. 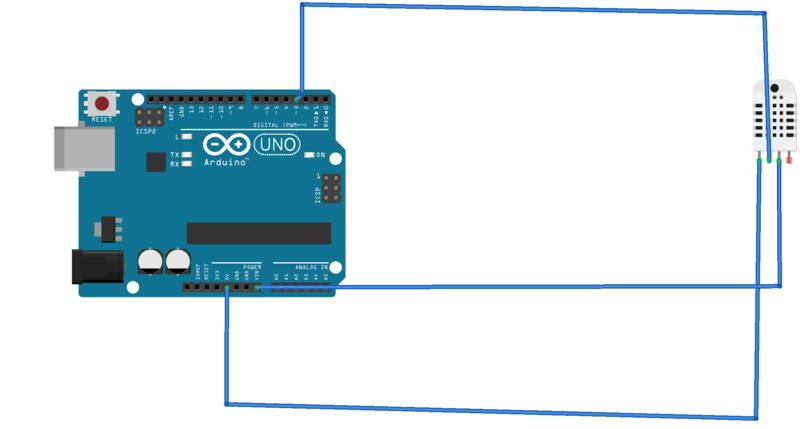 Use my other post on how to connect LCD to Arduino for more details. #define DHTPIN 3    //Defines the pin number to which the sensor is connected.